A certain man planted a rose and watered it faithfully and before it blossomed, he examined it. He saw the bud that would soon blossom, but noticed thorns upon the stem and he thought, “How can any beautiful flower come from a plant burdened with so many sharp thorns?” Saddened by this thought, he neglected to water the rose, and just before it was ready to bloom, it died. So it is with many people. Within every soul there is a rose. The good qualities planted in us at birth, grow amid the thorns of our faults. Many of us look at ourselves and see only the thorns, the defects. We despair, thinking that nothing good can possibly come from us. We neglect to water the good within us, and eventually it dies. We never realize our potential. Some people do not see the rose within themselves; someone else must show it to them. One of the greatest gifts a person can possess is to be able to reach past the thorns of another, and find the rose within them. This is one of the characteristic of love: to look at a person, know their true faults and accepting that person into your life, all the while recognizing the nobility in their soul. Help others to realize they can overcome their faults. If we show them the “rose” within themselves, they will conquer their thorns. Only then will they blossom many times over. As a great man once said, ‘The most favorable friend to me is that who shows me my flaws’. Radhanath Swami quotes from the Bhagavad Gita, ‘The Gita tells that every living being is a part of God, just as every ray emanating from the sun is part of the sun. When we discover the love of God that is within our own hearts, we see an inseparable part of God in the heart of every living being—male or female; black or white, Hindu, Muslim or Christian, American or Israeli and only then can we truly love the other ignoring all their faults’. ‘The most favorable friend to me is that who shows me my flaws’. It is due only to the grace of the Guru that we can actually see ourselves as we are – thorns and all. He fans the tiny spark in us and inspires us to become better individuals. Thank you very much for sharing Radhanath Swami’s thoughts on how to see the nobility of each others soul while tolerating the flaws. Very true! We must learn to recognise the rose within ourselves and in others, in other words be tolerant to ourselves and others and instead of the faults, look for the good qualities. 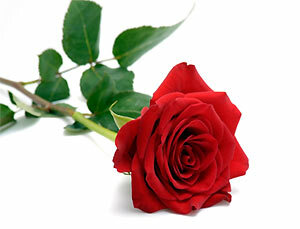 If we show them the “rose” within themselves, they will conquer their thorns-A nice attitude for cultivation. This article really teaches patience in order to see the ‘rose’ within others. Devotional service is a hope giving transcendental activity and it makes one optimistic. We don’t always take care of the things that are really important. I’m suddenly cognizant of the fact that I’m a part of God, just like a ray of sunlight is a part of the sun. Makes me feel so special… as a child or God.. a part of God. This information from Bhagavad Gita is great… and coming from a great personality like Radhanath Maharaj makes this ultimate. 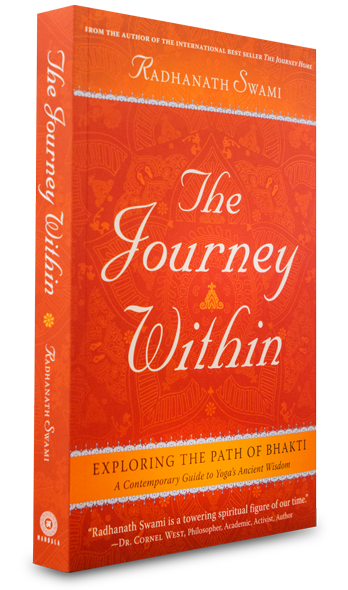 Thank You Radhanath Swami Maharaj! I feel like i have taken a new birth suddenly.All this while in my mind, I ‘ve been a pessimistic cynic.But this refreshing new perspective gives me to peek into the vistas of open and clean mind….ones that are capable of loving.How I want to be like that. Love as it is advertised in today’s world is so yucky.Ï mean,it sounds attractive,but we all know that the love of this world doesn’t last.But this type of love,and you can love anybody and everybody with this love…is great.Because its the God within that person that you seek to love.Wow….What an explanation. God and there is arose within all of us which we never bother to see. thank you for the wonderful explanation. A very touching statement indeed -“One of the greatest gifts a person can possess is to be able to reach past the thorns of another, and find the rose within them”. We know we are neglecting the self within when there is an empty feeling inside of us. Seeing flaws in oneself and finding hidden roses in others is the success of our self analysis which would help all of us to become better persons and achieve perfection at the end of this life… Thank You so much for writing such a wonderful analogy it is very touching…! Seeing the rose in all people, which is yet to manifest, is possible when we have love based on our relationship with God. Very beautiful one! Generally we have the tendency to find fault in others not with the intention to help him but to tease him for the same. But if we understand the fact that no one in this world is perfect and we all are part and parcel of God then we can actually help each other to overcome our faults and to realize our true potential. “One of the greatest gifts a person can possess is to be able to reach past the thorns of another, and find the rose within them”-so true! Radhanath Swami so wonderfully quotes from the Bhagavad Gita, ‘The Gita tells that every living being is a part of God, just as every ray emanating from the sun is part of the sun. When we discover the love of God that is within our own hearts, we see an inseparable part of God in the heart of every living being—male or female; black or white, Hindu, Muslim or Christian, American or Israeli and only then can we truly love the other ignoring all their faults’. One of the greatest gifts a person can possess is to be able to reach past the thorns of another, and find the rose within them amazing line! HH Radhanath Swami Maharaj ki jai!